From June 1st to July 15th, the “Journey to Mysterious Universe” of AEON MALL Binh Duong Canary brings you a brand new image, with the theme of an astronaut family – where the whole family turns into astronauts and start the journey to the mysterious universe, to the planets which we often see on the screen or on TV. 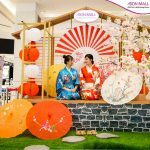 Now they all come to AEON MALL to bring the unforgettable memory and experience for our children. 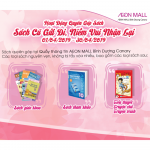 This summer, AEON MALL Binh Duong Canary also organize a drawing contest for children with the aim to educate young generation to protect the living environment. 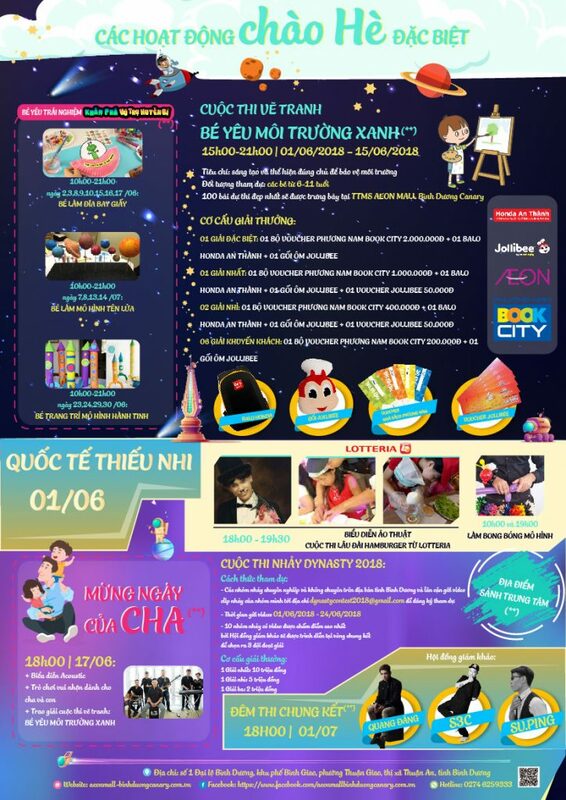 From June 1st to July 15th, Center Court – AEON MALL Binh Duong Canary, we will prepare drawing tools, painting colors, paper and a drawing corner for kids. After finishing, those paintings might be submitted to be one of the “masterpieces”. 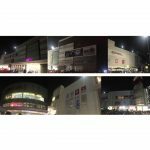 Furthermore, the Dynasty Dancing Contest 2018 is officially organized at AEON MALL Binh Duong Canary for active young people. The best 10 teams which are chosen by judges will perform in the Final Gala Night on July 1st 2018. Let’s gather your crew and record a dance video then send to email: dynastycontest2018@gmail.com to take part in the exciting dance contest this summer. 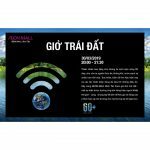 – With every shopping bill worth from 2,500,000 VND to less than 5,000,000 VND, you will receive a set of Luminarc glasses, and get 1 point to join the Loyalty Customers Program. 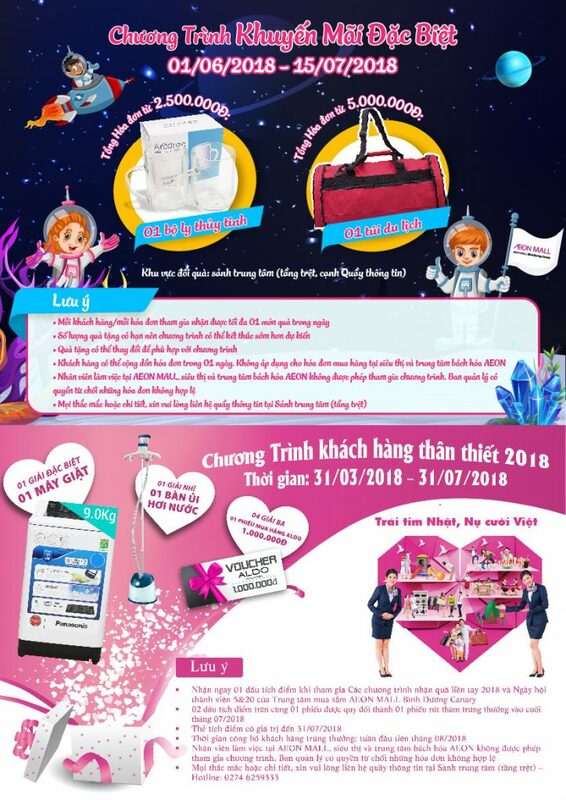 – With every shopping bill worth from 5,000,000 VND and higher, you will receive a travel bag, and get 1 point to join the Loyalty Customers Program. 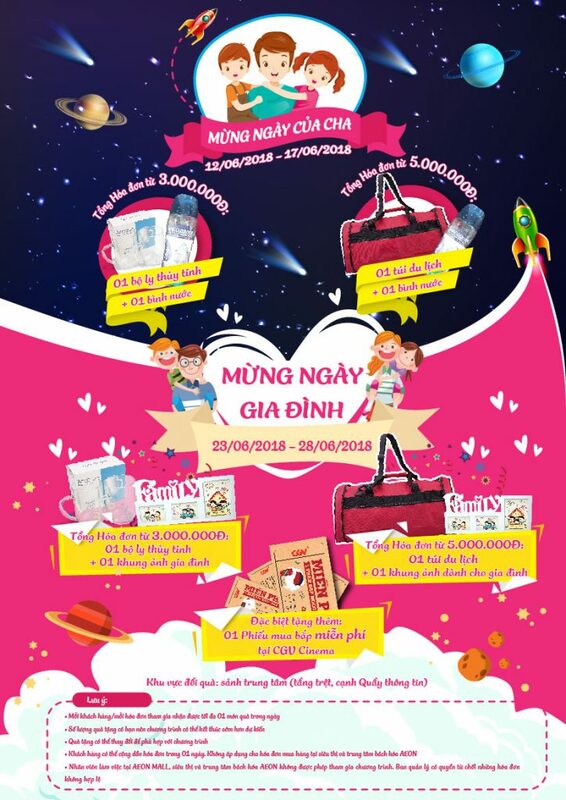 From June 12th to June 17th, with every shopping bill worth from 3,000,000 VND, customers will get 01 lovely water bottle. 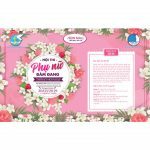 From June 23rd to June 28th, with every shopping bill worth from 3,000,000 VND, customers will get 01 picture frame to display your favorite family photo. Each customer/each shopping bill get maximum 01 gift per day. The gift can be changed to be suitable with the campaign.